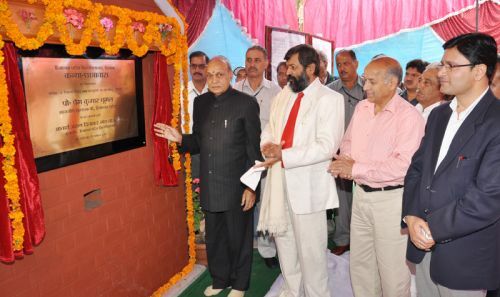 Chief Minister lays foundation stone of Girls Hostel in Himachal Pradesh University, Summer Hill, here today. Hostel will be constructed at estimated cost of Rs. 4.36 crore and will accommodate 132 girl students with one exclusive floor for car parking. Chief Minister said that the new hostel will go a long way in facilitate the girl students and solve their accommodation problem. 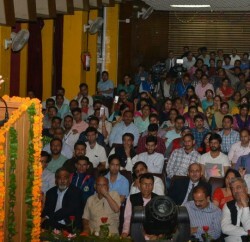 He said that the State Government adamant to provide quality infrastructural basic amenities to the university students with a view to provide them congenial atmosphere to pursue their academic pursuits. 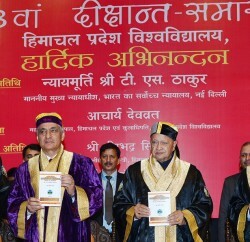 Vice Chancellor, HP University Dr. A.D.N.Bajpai, Registrar C.P. Verma, MLA Suresh Bhardwaj, Dr. Ram Lal Markandey, Randhir Sharma, and other senior officers of the University were present on the ceremony.